These images may be used for editorial purposes in magazines, newspapers and online to promote “Renewing What They Gave Us: Native American Artists in Residence,” Saturday, Sept. 23, 2017 - Sunday, April 22, 2018, at the Minnesota History Center. Credit information is listed. 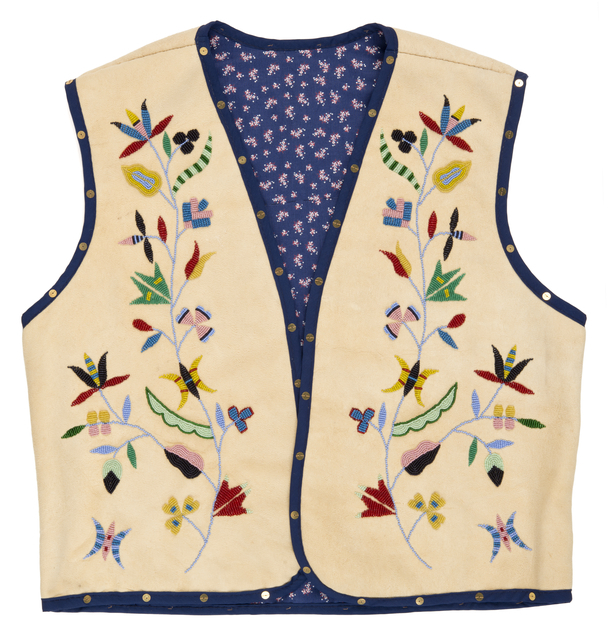 Ojibwe beadwork, often identified by its distinctive floral style, is a rich tradition extending back nearly two centuries in the Great Lakes region. 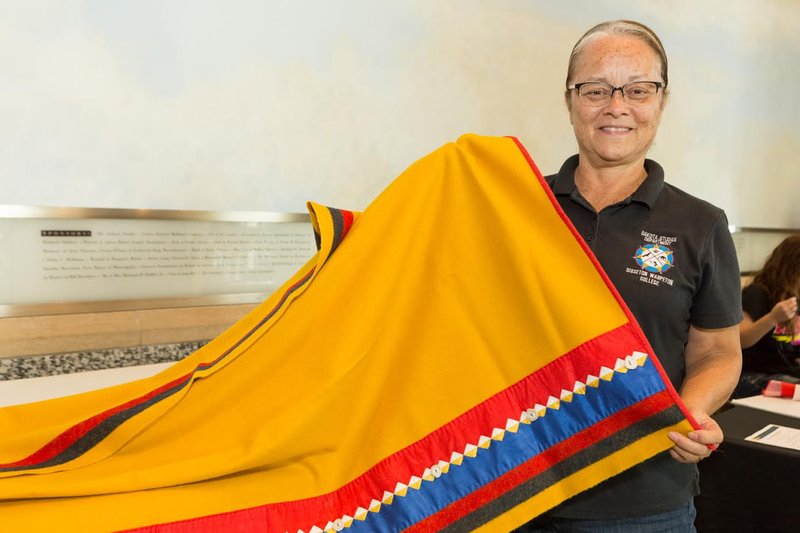 During her residency, Gokey studied more than 200 examples of historic Ojibwe beadwork in the MNHS collections. 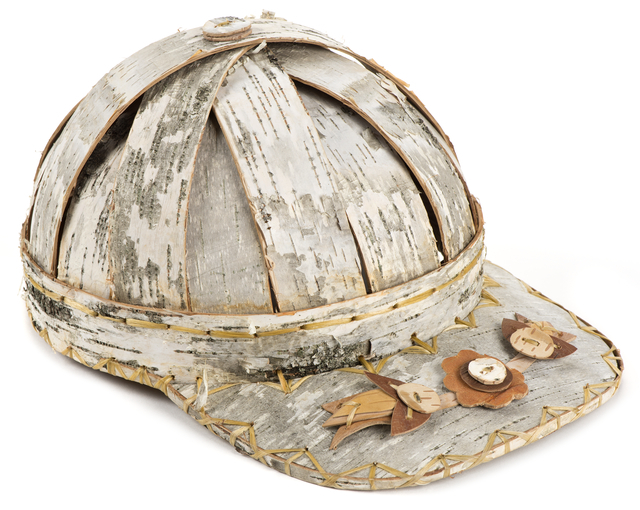 Pat Kruse is a birch bark artist who lives and works on the Mille Lacs Indian Reservation in Minnesota with his son and apprentice, Gage. Used to make canoes, houses, containers for food preparation and storage, and works of art, birch trees and their bark have been central to the lives of Ojibwe people in this region for centuries. In addition to being a professional educator and published poet, Denise Lajimodiere practices the Ojibwe and Cree art of birch bark biting. Known in Ojibwe as mazinibakajige, or “pictographs on bark,” paper-thin layers of birch bark are folded, bitten with an eye tooth, and then unfolded to reveal an image. Gwen Westerman is a historian, educator, and poet, as well as a visual artist. 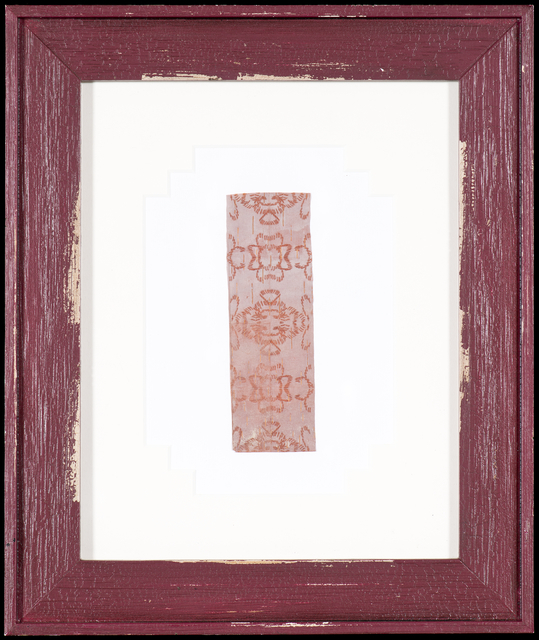 During her residency, she examined the practice of ribbon work appliqué, which is often associated with eastern American Indian cultures, but is also associated with the traditional homeland of her ancestors, the Isanti Dakota. Westerman mentored a number of younger Dakota artists, including her daughter Erin, during her residency. 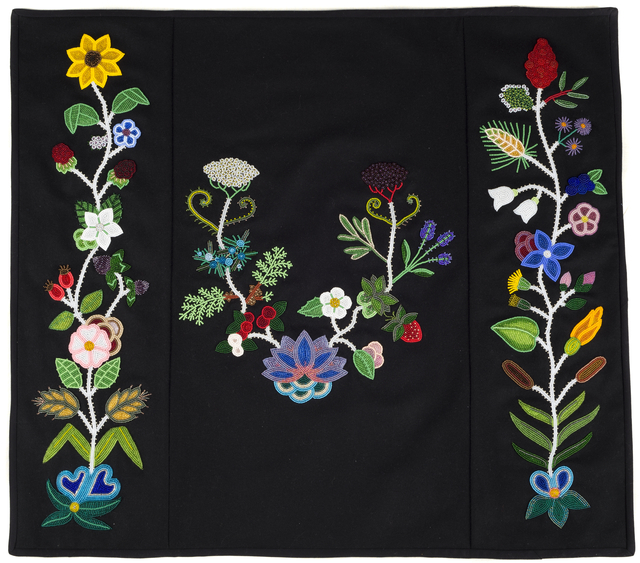 Holly Young is committed to revitalizing the lesser-known floral form of beadwork once common among the Dakota, Lakota and Métis people of this region. Given the history of Dakota expulsion from Minnesota, this style did not persist long and was nearly forgotten by contemporary Dakota artists until recently.